A single page or one page website design is probably the quickest and cheapest way to get your business online. We have found that many clients operating on a tight budget use this option just to establish some sort of online presence. These will be mobile, tablet and PC friendly for a trouble free navigation journey for all types of visitors. Optics are a vital ingredient in good design which contributes enormously to the success rating of your site and beating your opposition. The external appearance is of vital importance in capturing your target audience. Your company logo needs to give maximum impact both online and in print. It needs to stand out whether on a mobile or on a computer screen. This should be your starting point for effective customer recognition. You supply photos and words, we will do the rest. If for whatever reason you cannot provide us with the website copy, then we can take care of this too. Our normal price for premium web content is £0.04 per word which equates to £20 for 500 words or £10 for 250 words. However for our single page web page customers we have a special offer on this package only of 25% OFF! Decide on your preferred colours and fonts – these will benefit your company branding and should be standardised across all your company media. Think of established brands and their successful use of these techniques and develop your own. Use your letterheads and business cards as templates for your web page. Our online templates will guide you along the way – easy to use and there for you to modify to create your own personalised presence. One page web sites should be informative, of interest and stand out as much as multi page web sites. Indeed with one page you need to get the viewer’s attention even more so. It needs to be concise with all the facts and information clearly displayed – this doesn’t mean it’s going to be basic!! It will need just as much creativity as for multi page sites with a real visual impact. Keep it to the point and devoid of unnecessary wordage sticking to what really counts. Does it give the relevant information they are seeking? Does it contain the right content to achieve the ranking you are looking for on search engine results? Careful thought is needed to capture the audience you are looking for. Invest time and thought to the structure so that it reads in a logical fashion allowing the viewer to find what he is looking for with ease. Begin with the most important information at the top followed by the supporting information. Make navigation of your page as clear as crystal – navigation links will be a great aid to making it user friendly to save scrolling right through the site. Making sure that you new web page resizes to different devices has become of paramount importance now for any online business. Google now will demote sites on their mobile search results. In addition to this, it is not conducive to a good user experience, which consequently will translate to your business being less successful online. Whatever website that you choose with Super Cheap Web Design, we always ensure that it is fully responsive and so will display perfectly on all devices. What type of businesses are suited to a single page website? One type of business that a single page design is suited to would be a business that needs very little content and just requires some very basic information and a contact form for example. Quite often this type of website might be made just to complement a companies’ business cards and is used more as a reference to give a more professional touch. We get a lot of jobs from clients who urgently need something online for one reason or another. This is usually just a draft website or a coming soon type of web page, generally with a larger website to follow. 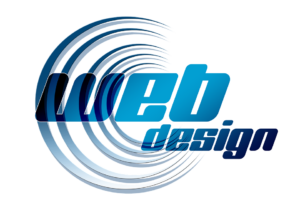 Another popular reason we get clients ordering the one page web design service, is clients that just want to ‘dip their toes in the water’ online so to speak. This can be people that don’t really have much idea about technology and the internet, or clients that want to try to launch a webpage on a small scale to see the sort of feedback they get, before. How soon can you have a Single Page Design ready? The single page web design is a speciality of ours and something that we can have completed usually within 24 hours. If you order at a very busy period for us, or you have added some additional extras, then it may take us upto 48 hours to get your website online. We now have a live chat option that we have added to the website, making communication with us even easier. If you order a template one page website from us we will charge you just £79 for the website. This includes your first years hosting  completely FREE OF CHARGE, and this will be £30 per year thereafter. We have included this here as we get many clients that are new to business online asking us. Basically a web hosting service will store your website files and provides the technology so that a user can view your website or web page over the internet. So you are effectively being charged rent for this service and this is required for any website online. Is there anything else that I need? Yes the final thing that you will need in order for your website to display is your domain name. This will be something like mybusiness.com or mybusiness.co.uk. 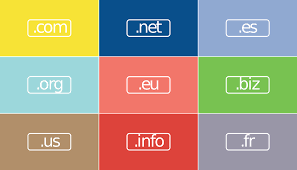 Nowadays there is so much choice to list, but you can get a regular .com domain extension for approximately £10 per year. How do I order my Single Page Website? If you have read everything and are happy to buy your one page website with Super Cheap then we simply require a 50% deposit in advance, and then the balance to be paid on completion. The deposit will be approximately £40 for the template website and £50 for the bespoke website package.